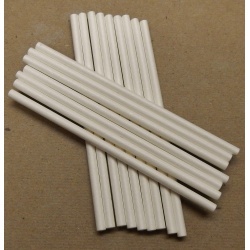 Paper Sticks Untreated 6 1/2"
A holder for 2" birdie bagel bites which has a white tube where the bagels fit snug against. This will be a challenging toy for your feathered friend while they try to pull the bagels off the tube. The holder is stainless steel and attaches to the cage with 2 pear links which are included.. Just keep refilling...Comes with 5 of the two inch size bagels, hanger and 2 pear links. Once they chew off the bagel bites you can keep refilling the tube with more bites! 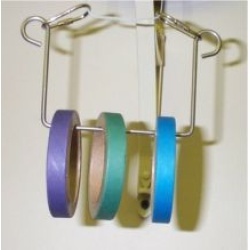 A holder for all your birdie bagel bites that attaches to the cage with 2 pear links which are included.. Just keep refilling...Comes with 3 of the two inch size bagels, stainless steel hanger and 2 pear links. Brightly assorted colored one inch Birdie Bites for foot toys or toy making. Great for destroying fun. 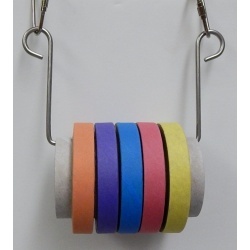 Bulk 1 inch birdie bagel bites for your toy making projects. 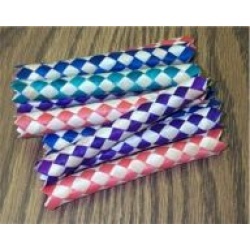 2 inch Birdie Bites for destroying or toy making in assorted colors. 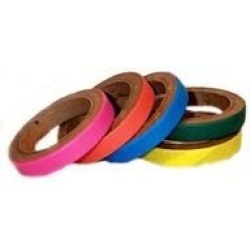 3 inch Birdie Bites for destroying or toy making in assorted colors. 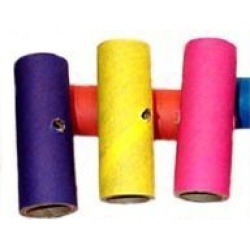 Brightly colored Birdie Bite Tubes already with hole for toy making destroying. 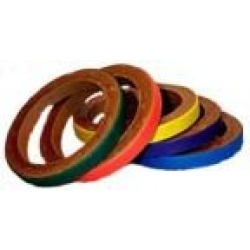 A 5" bagel for your larger birds use for destroying or toy making in assorted colors. Drilled out paper cigar shapes for your toy making projects. 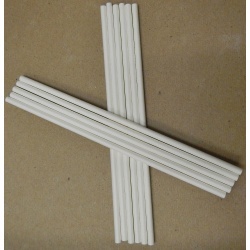 4 inch 100% virgin pulp and sealed with water, paper chewing sticks. Sized for all parrots. Keep those beaks busy!! Stock up now. 6 1/2 inch 100% virgin pulp and sealed with water, paper chewing sticks. Sized for all parrots. Keep those beaks busy!! Stock up now. 6 inch 100% virgin pulp and sealed with water, paper chewing sticks. Sized for all parrots. Keep those beaks busy!! Stock up now. Tearing up tubes for play or toy making. Natural seagrass baskets for your feathered friends to shred or a great base for toy making. 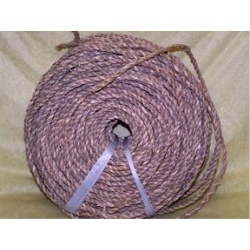 3/16" wide Seagrass Rope for toy making creations. 1" wide Seagrass Strips for toy making creations. Finally we found our ever so popular waffle fries! 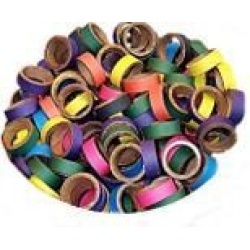 These measure approximately 8 inches in diameter and are 100% birds safe natural shredding material! We found our ever so popular waffle fries in a smaller size! 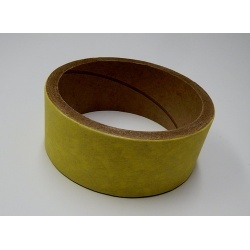 These measure approximately 4 inches in diameter and are 100% birds safe natural shredding material! Finally we found our ever so popular waffle fries! The square ones are back! These measure approximately 7 inches in diameter and are 100% birds safe natural shredding material!